In some cases, an application to the Court will be required to obtain formal arrangements concerning the care of the children. It does not make any difference whether your Parenting Orders are made by consent or by a Magistrate at the Local Court, or by a Judge. Orders, once made by the Court, must be complied with. Parenting Orders are usually clear and specific. They include, for instance, times and dates for periods of time that children will spend with each parent. Orders may also require that a parent do something specific (such as authorise a school to release information to the other parent). It is important when Orders are made, that they are complied with. For example, if the time stated for changeover after a period of time with the child is 5.00pm, you need to ensure you arrive at 5.00pm and no later. Obviously, any agreement between the parties can be reached to vary Orders. Please discuss this with your solicitor beforehand. There are very serious consequences if Orders are not complied with. Consequences will apply to each of the parties. d) To ensure, for example, that there is a provision for telephone communication, and to make the child available to take the phone call at the specified time. Changing or varying Court Orders can be done either by agreement between the parties or by application to the Court. In considering if Orders should be varied where there is no agreement, the Court must find that there has been a significant change in circumstance since the making of the last Orders. It is important in the absence of an agreement that you continue to follow the old Court Orders to the best of your ability, until they are changed by the Court. The Act provides that there is a presumption that parents have equal shared parental responsibility for their children. This presumption is applied unless rebutted. if it is, consider making an Order to provide for the child to spend equal time with each of the parents. if it is, consider making an Order to provide for the child to spend substantial and significant time with each of the parents. c) the time the child spends with the parent allows the child to be involved in occasions and events that are of special significance to the parent. If neither equal time, or substantial and significant time are practicable, or considered to be in a child’s best interests, then the Court can make such Orders as they consider would be in the best interests of that child regarding the time a child will spend with each parent or other significant person. Children have a right to enjoy their culture. 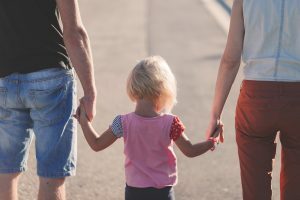 the practical difficulty and expense of a child spending time with and communicating with a parent and whether that difficulty or expense will substantially affect the child’s right to maintain personal relations and direct contact with both parents on a regular basis. Our office files applications primarily in the Family Court or Federal Circuit Court located at Parramatta. The Family Court deals with parenting applications under the Less Adversarial Trial Process (“LAT”). Has Child and Family Consultants present who participate in Court proceedings from an early date.